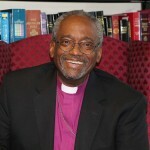 Christ Episcopal Church in Jordan has a special guest leader for their annual spring “Blessing of the Bikes” event: the Right Reverend Dr. DeDe Duncan-Probe, the new Bishop of the Episcopal Diocese of Central New York. 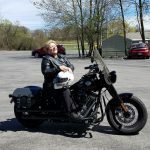 Bishop Duncan-Probe is the first woman—and the first motorcycle enthusiast—to serve as Bishop of Central New York in the diocese’s nearly 150-year history. The event begins with a brief worship service at 10:00 a.m. on Saturday, May 13th at Christ Episcopal Church, 25 North Main Street, Jordan, NY 13080. Bishop Duncan-Probe will bless riders and their bikes before leading a one-hour bike ride. Bikers will return to Christ Church by 12:30 p.m. for a festive barbeque lunch. Bikers, family and friends, and motorcycle enthusiasts are warmly invited to attend this family-friendly event, held annually at Christ Episcopal Church for over a decade. For more information, please call the church office at (315) 689-3141.